When your child is wearing Calming Clothing they will exhibit improved physical awareness and interpersonal communications. 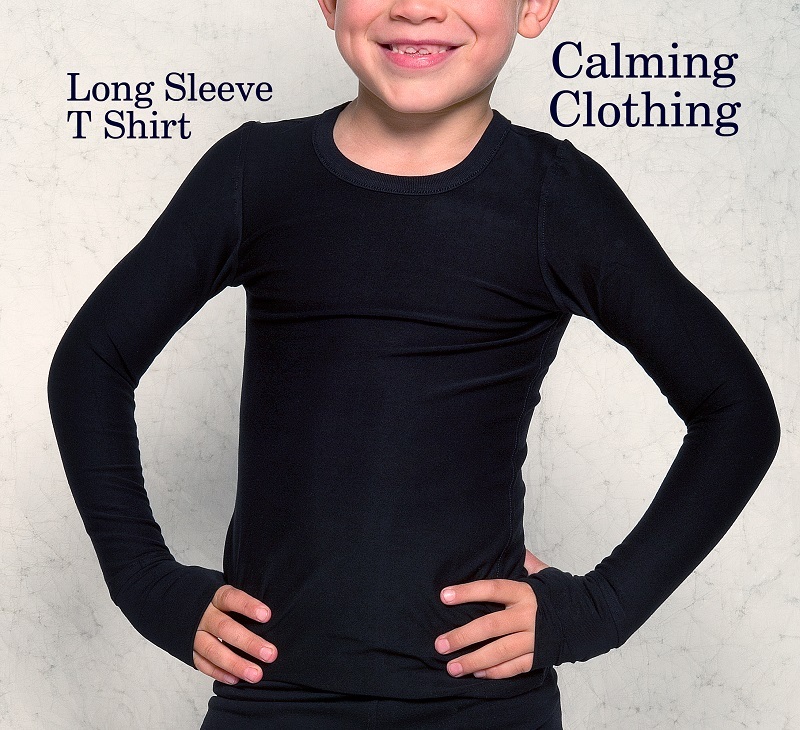 The snug fitting cotton garment supplies the child with the much-needed sensory feedback. That reassurance and body awareness in turn creates a calming effect. To learn more visit the Why? Calming Clothing page. For children with sensory clothing needs. A neat white or cool black t-shirt to be worn with jeans while socializing or under a school polo. Children will feel a calming and centering effect all day long. 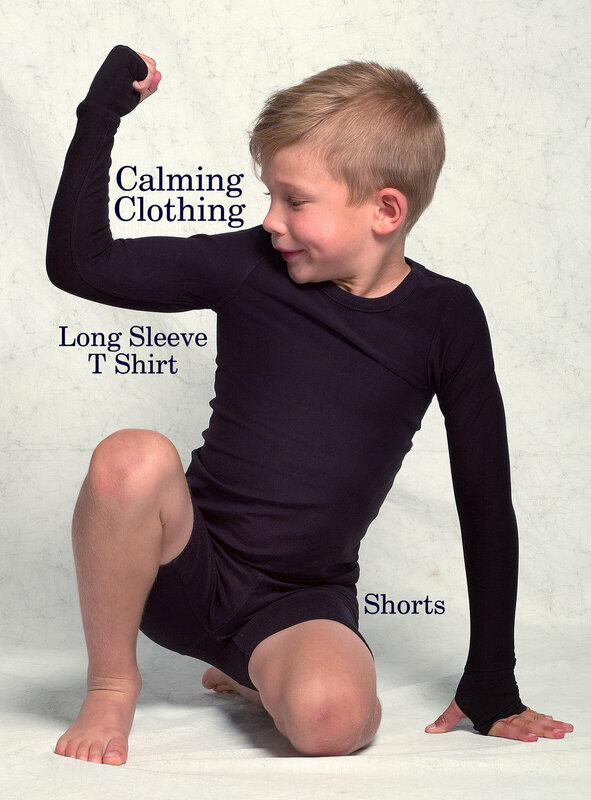 The Calming Clothing for Kids range caters for daytime and sleepwear and includes both short and long pants. Children will be comfortable all-year round.